People in custody in Western Australia have important rights to social contact prescribed in legislation. Social contact improves the likelihood prisoners will successfully reintegrate back into the community upon their release because family and friends help with finding accommodation and employment, they offer financial support and they are critical to re-establishing community ties. Contact for those in custody is generally maintained through social visits, telephone, and mail communication. But contact is strictly controlled and closely monitored by prison staff. Visitors and phone contacts must be approved, phone calls and mail are closely scrutinised, and visit sessions are subject to physical and electronic surveillance. The number and frequency of contact is influenced by the individual circumstances of prisoners and their family and friends. But it is also influenced by circumstances beyond a prisoner’s control. 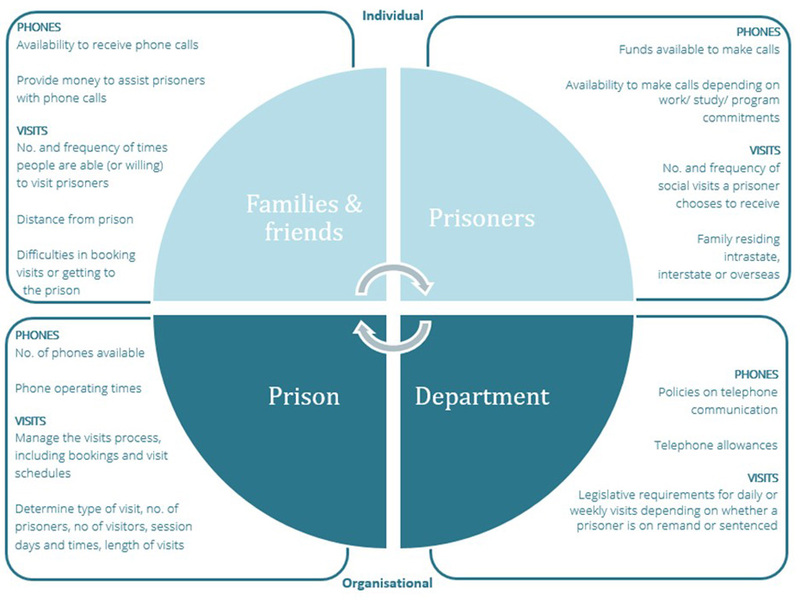 Organisational factors such as phone operating times, visit session times, and prison policies and procedures also have a role to place in contact with families.